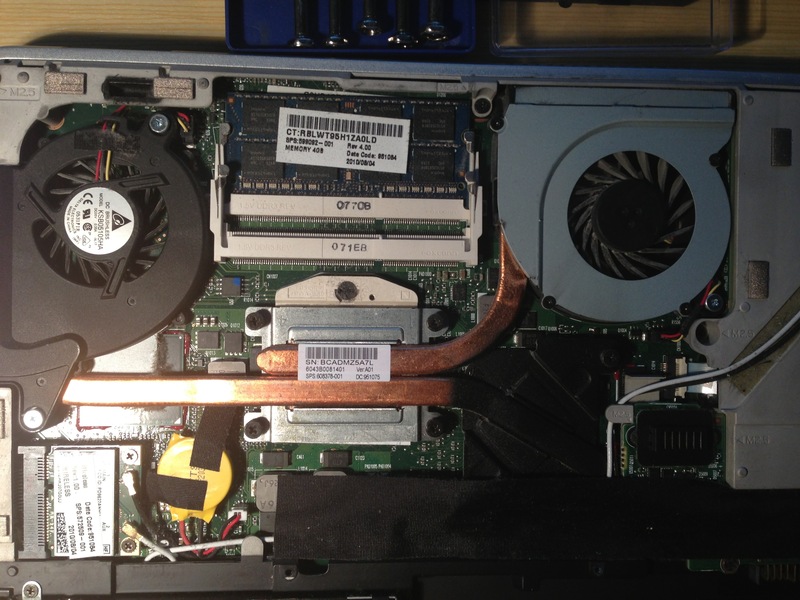 Mai nap megÃ©rkezett a plusz 4 GB RAM a laptopomba. Sajnos mÃ¡r az Ã¶rgedÅ‘ Windows telepÃ­tÃ©s + a sok virtuÃ¡lis gÃ©p, na meg a Firefox Ã©s a FlashPlayer illetve a hÃ¡ttÃ©rben futÃ³ Eclipse Ã¶sszesen kÃ©pes volt megenni 4 GB RAM-ot. KihasznÃ¡ltam hÃ¡t a szabad slotot Ã©s vettem bele mÃ©g egyszer 4 GBot, Ã­gy kellemes 8-al tudok gazdÃ¡lkodni. Az Ã¶rÃ¶m azonban nem az, hogy beraktam a memÃ³riÃ¡t Ã©s azonnal mÅ±kÃ¶dÃ¶tt, plusz a memtest is egyelÅ‘re tÃ¶kÃ©letesnek mutatja, hanem a gÃ©p szÃ©tszerelÃ©se: ez a HP gÃ©p ugyanis szÃ©pen van Ã¶sszerakva. EgyszerÅ±en Ã©rzÅ‘dik rajta, hogy amikor vettem prÃ©mium gÃ©pnek szÃ¡ntÃ¡k. AlapbÃ³l a szÃ©tszedÃ©se: egy mozdulattal lepattan az akksi fedÃ©l Ã©s instant cserÃ©lhetÅ‘ az akkumulÃ¡tor Ã©s a HDD. Ezek utÃ¡n 5 db kÃ¶nnyÅ± keresztfejes csavarka kicsavarÃ¡sÃ¡val Ã©s egy hatÃ¡rozott csÃºsztatÃ¡ssal le tudjuk oldani a fenÃ©klap mÃ¡sik felÃ©t. AzÃ©rt jÃ³, hogy csÃºsztatni is kell, mint az asztali gÃ©pek oldallapjÃ¡t anno, mert emiatt az 5 kis csavar is elÃ©g arra, hogy stabilan tartsa a fedÅ‘t, mÃ©g Ã­gy 3 Ã©vesen is. FigyeljÃ¼k meg az asszimmetrikus lapÃ¡tokat, 2 Ã©vvel az Apple elÅ‘tt! I am still in love with those Chinese cables…. I am currently really into everything that is security & GSM, therefore I thought it would be great to have a data cable which I can use with my old Nokia 3410 to enable the so called “Network Monitor” mode. In this mode the phone shows you a lot of useful information like the frequency it is using (ARFCN) or the current temporary ID of the SIM card (TMSI). So, as a normal user would do I went to my friend Google and asked him about this cable. He quickly showed me some results which were quite funny: some Hungarian webshops still have these cables in stock! I was quite happy because the price was really low and I thought it would be great to buy from a shop and not from some random person. So the cables came like two days later, and I tried to connect them to my phone. None of the cables seemed to fit. I was really angry, and thought about calling the shop telling them they are selling junk (which wouldn’t be surprising at all sadly) but then I found an archive website that shows you how to connect the cable properly. The secret is quite easy once you know it: you need to get rid of the nice soft protecting foam that is glued all around the pins of the cable (who would have thought…). After that I connected the phone to my computer and I was able to turn on the Network Monitor – yeah, let’s all be happy. But how is this related to poor quality Chinese cables? As time went on I wanted to get more information out of the phone and I already found the tool for this, naturally it is part of the Osmocom-family, it is called dct3-gsmtap. It can use the serial connection to your phone to actually capture GSM and SIM-card data and then forward it to Wireshark for later analysis. Sweet, just what I wanted to try out. I installed it, tried to run it, and it says something like “no answer from the phone”. What the ****? I just communicated with the phone, and turned on the Network Monitor! Apparently for Nokia phones you can have 2 kind of cables, one is called MBUS (M2BUS) the other one is called FBUS. They differ in speed, baudrate and also capabilities. MBUS is an older simpler implementation of a serial line – it only uses GND and MBUS_PIN (data pin) to communicate. 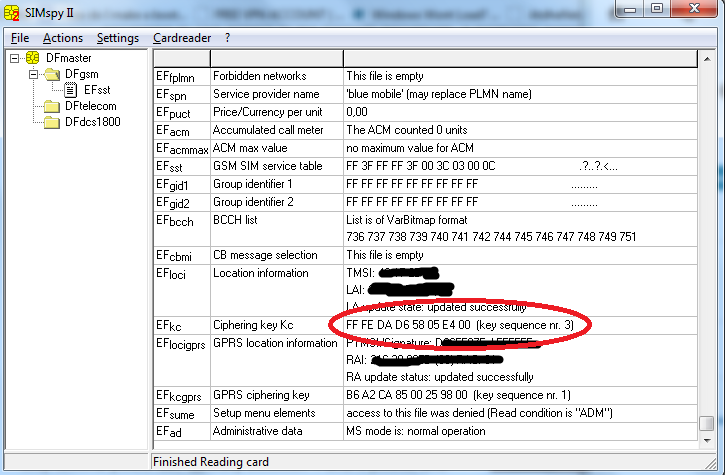 It is slow, and not really useful, that’s why Nokia decided to introduce FBUS which uses GND, RX_PIN and TX_PIN so it is a lot faster and more reliable serial connection. Guess which connection is supported by pretty much all of the tools available. Yes, FBUS. But I didn’t stop there, I wanted to see, if there were truly only 2 pins connected in my cable, or what was going on (because the interface facing the phone actually has all 4 pins). It turned out, that I do have 4 pins connected, but if I trace the whole cable it turns out that one of the magic plastic boxes on the cable (you know those little plastic boxes that are Â on some cables for noise-cancelling or something like that) has all 4 cables coming in and only 2 cables going out. So, I have an awesome cable which has all of its capabilities limited because some retard thought ‘yeah, why don’t we cut these two wires right at the middle of the cable?’. Fortunately Google is still my friend and I found a random guy on the Internet who is Hungarian and has one perfectly fine FBUS cable for Nokia 3310/3410 which he is willing to sell. Ironic. I started trying out Karsten Nohl’s and Luca Melette’s GPRS sniffing tutorial (https://srlabs.de/gprs) and I found out that because of some changes that were made to the code the patch provided with the tutorial fails to work.